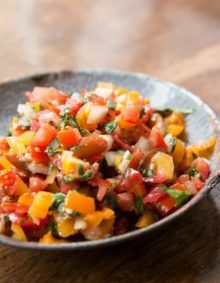 Looking for a quick and easy healthy dinner recipe? 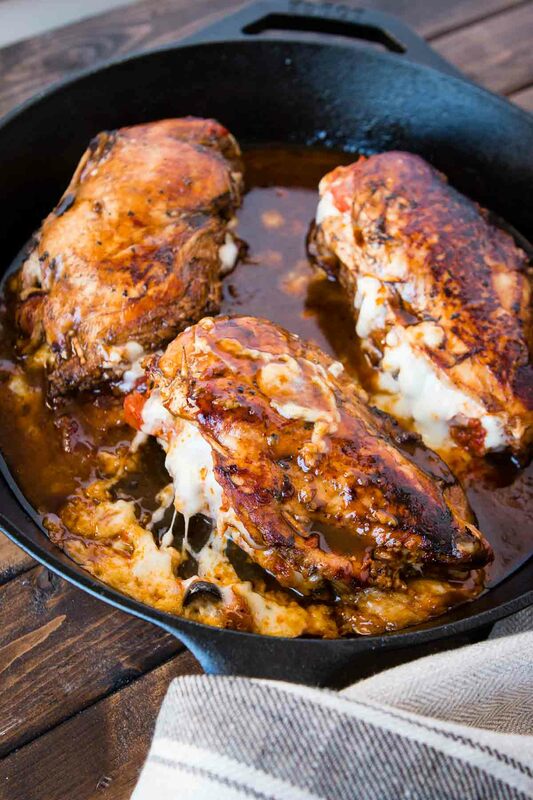 We’ve been loving this Cheesy Stuffed Mediterranean Chicken. It’s full of sun dried tomatoes, olives and cheese! Are Sun Dried Tomatoes Good For You? Like tomatoes, sun-dried tomatoes are full of antioxidants, vitamins, and good-for-you minerals. With high levels of lycopene, the antioxidant levels in sun dried tomatoes can help lower your risk of cancer and age-related diseases like cataracts and macular degeneration. 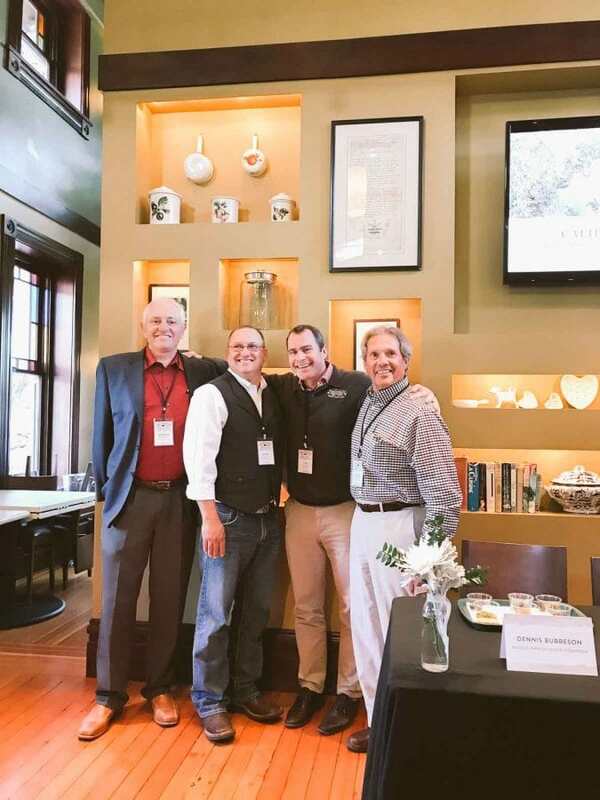 This post is in partnership with California Olive Committee but all opinions are our own. If you follow along on our Oh Sweet Basil Instagram account you’ve seen that I was recently in California with California Ripe Olives learning all about that beautiful fruit. Oh how I wish you all could have been with me. 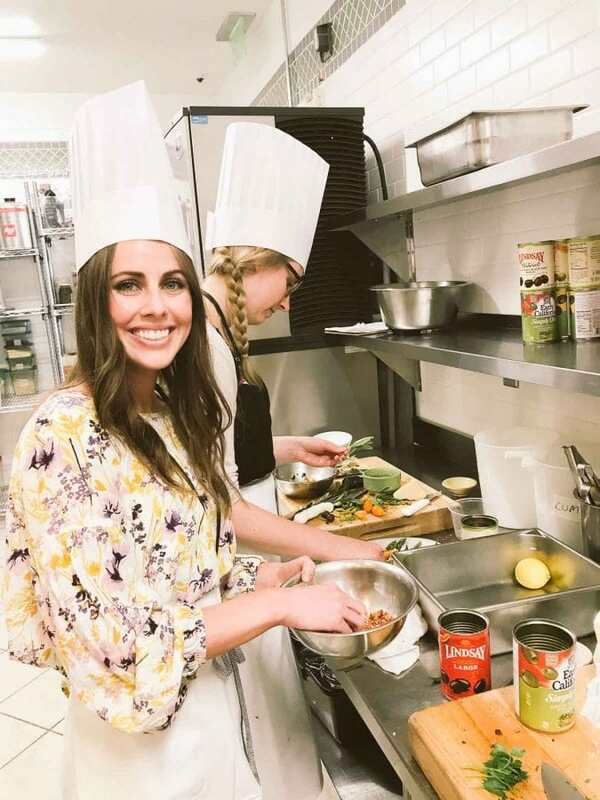 Elise from Simply Recipes had created a full course dinner that incorporated olives into every single dish, yes even dessert and you would never have guessed it. It was fantastic! 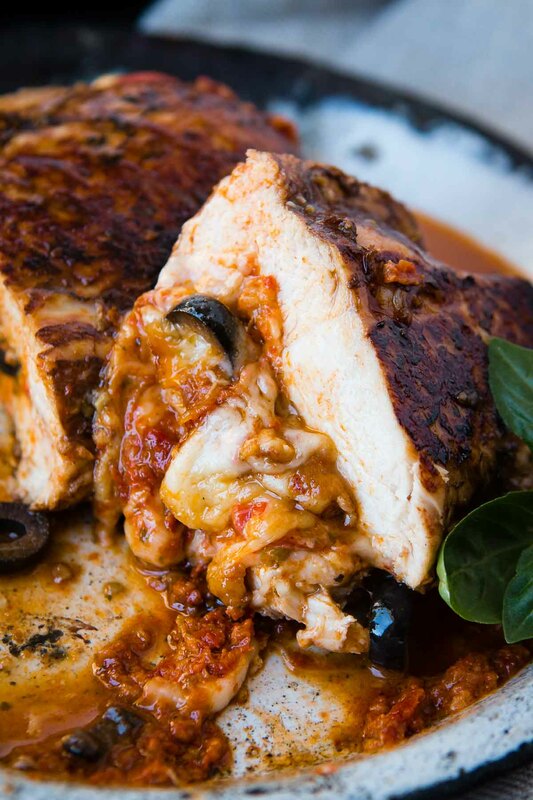 We partnered up to bring you our own inspired dish with olives, this cheesy stuffed mediterranean chicken, but scroll below the recipe to see what traveling with California Ripe Olives was all about. 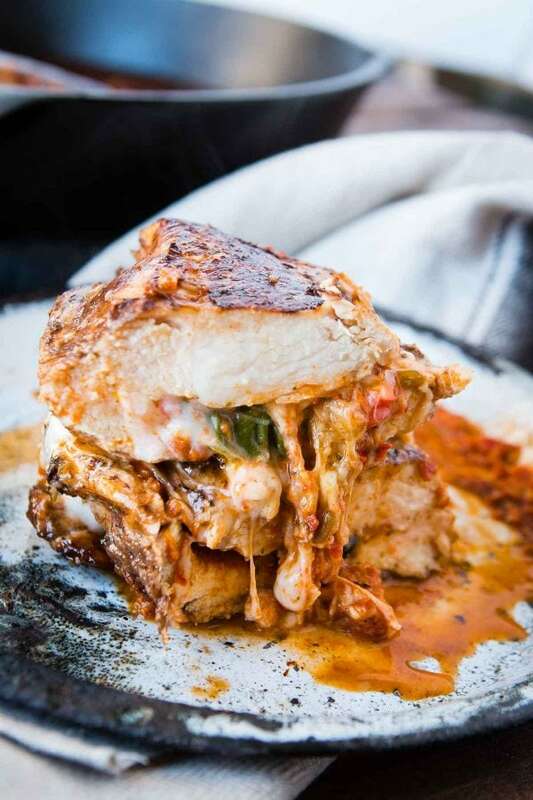 I once fell in love with sun-dried tomato pesto and mozzarella paninis and though they often came with a balsamic drizzle I had left it off of the sandwich. This time I marinated the chicken to give it extra flavor as it really was lacking in the breast itself. It’s a simple combination of balsamic vinegar, olive oil and Greek seasoning. How do You Butterfly a Chicken Breast? 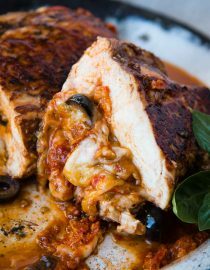 The chicken is then butterflied, sliced by laying your hand on top of the breast and gently sliding your knife through the center until you can open it like a butterfly, then stuffed with spinach, pesto, mozzarella, fresh tomatoes and olives. 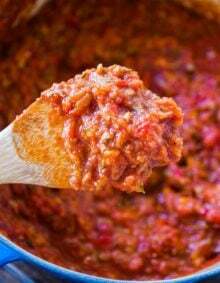 I’ll link up to the sun-dried tomato pesto recipe below. I keep it in the fridge in a jar with plastic wrapped pressed down into it. Now seal the chicken up with toothpicks and cook in a pan with a little oil. Once the chicken has been flipped add the balsamic oil and sugar just like if you were making a glaze and cook for another few minutes then finish it off in the oven, basting with that glaze before serving. It’s gooey, cheesy, and those olives add such variety and a wonderful umami flavor. Umami is all the rage these days. 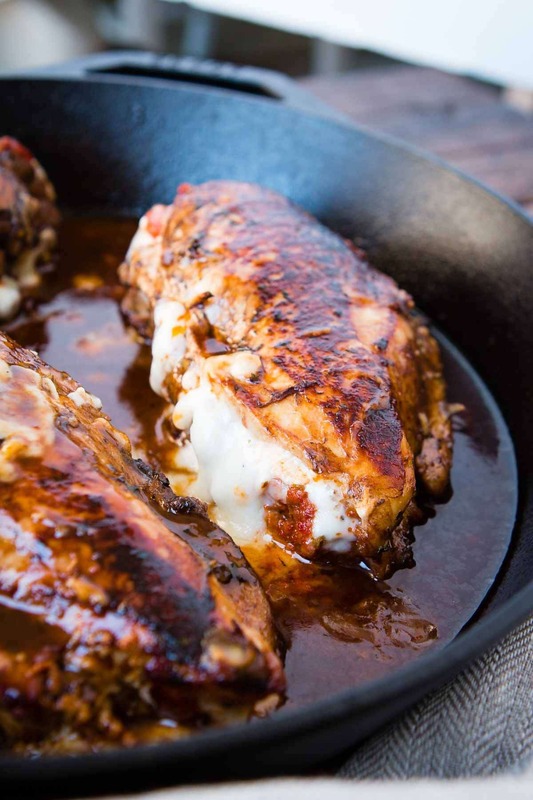 It’s earthy and meaty and it takes a bland, stuffed chicken (sorry, but many stuffed chicken recipes really aren’t as great as you expect) and turns it into something wonderful. One little ingredient can totally make a dish and this one is the perfect example. Umami, which is Japanese for “pleasant savory taste” or “yummy”, was pinpointed by Japanese chemist and food lover Kikunae Ikeda in the 1900s. Technically, umami refers to glutamate — a type of amino acid, which occurs naturally in many foods such as meat, fish, vegetables and various dairy products. It can be described as a pleasant “brothy” or “meaty” taste with a long-lasting, mouthwatering and coating sensation over the tongue. Place all of the marinade ingredients in a ziploc bag and add the chicken. Seal it, pressing out as much air as possible and place in the fridge for 30 minutes or up to 1 day. Butterfly the chicken by slicing it open, leaving the back connected like a butterfly. Place mozzarella, pesto, spinach, tomatoes and olives inside and seal closed with toothpicks. Whisk together the vinegar and brown sugar. Heat a pan to medium high heat with a drizzle of olive oil. Once shimmering, place the chicken in the pan and turn to medium low heat. Cook for 4 minutes and once browned, turn over. Add the balsamic and brown sugar mixture and cook for 5 minutes. Place in the oven for 15-20 minutes or until cooked through. 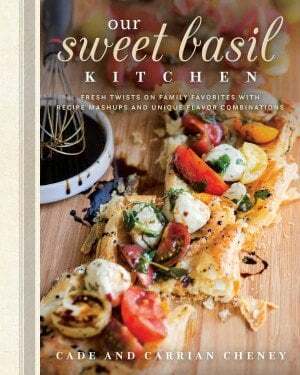 Cover with the pan drippings and serve! 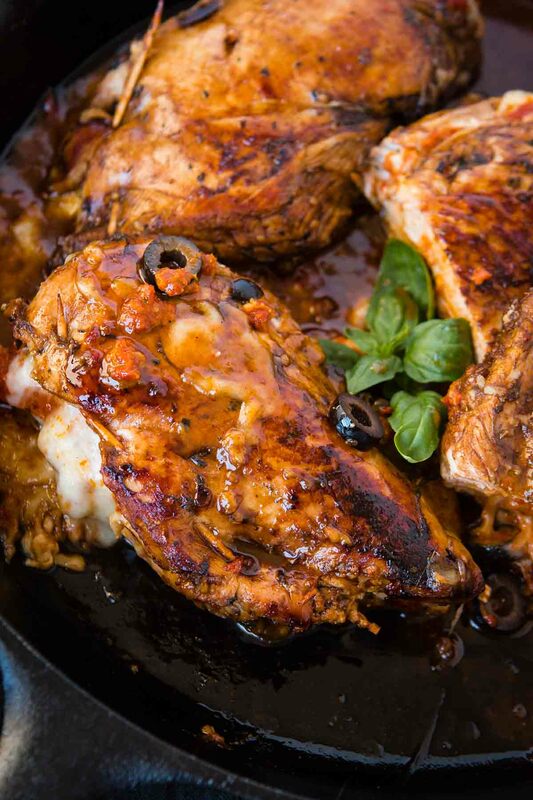 See this Citrus Greek Chicken for a homemade Greek Seasoning if you can’t buy it. When I was little olives were a huge part of our family gatherings. My mom let me be in charge of arranging the veggies and olives on a tray for guests, but we also had them in many of our meals, always on tacos for example. Olives are one of the fruits that brings the strongest memories to peoples’ minds just by seeing it and tasting it again. I guarantee you have a memory linked with them as well. We got to be in groups for a little experimenting with olives. I was with Snixy Kitchen, Healthy Nibbles and Bits and The Roasted Root. Their photography is unreal. But more importantly we worked really well together and created two lovely dishes. 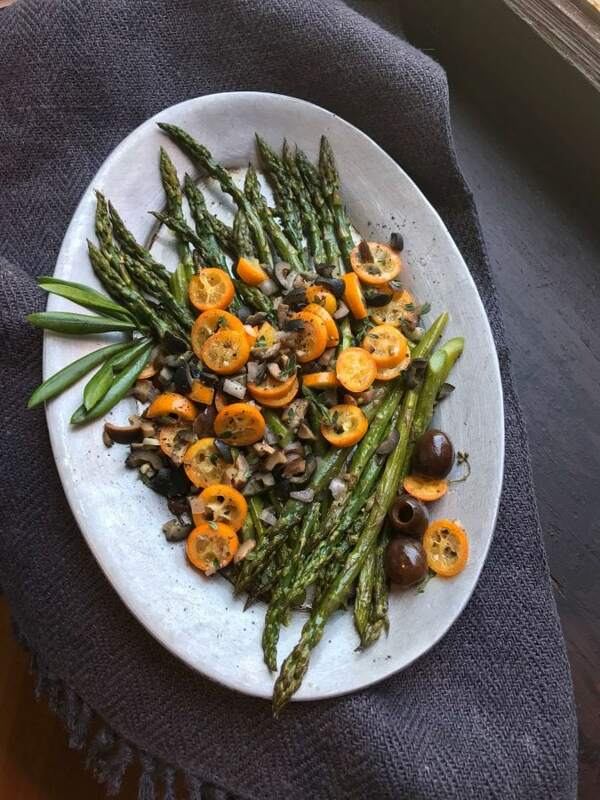 My favorite was this asparagus with olives and kumquats. It was to die for and I cannot wait to recreate it!! Did you know that all olives are green? I thought there were different varieties like, green versus black but if you see a black olive on a tree it’s over-ripe. What?! Olives are actually all picked when they are still green on the tree and go through a curing process for 7 days that create that flavor and get rid of the bitterness. And olives are carefully cared for, as in any that fall to the ground aren’t used. Sometimes we get so much pushed into our heads it’s nice to go to the source, not the internet and learn just what care these families are taking in their food so that we can in fact care for our families. All of that is interesting but do you know what I loved the most? We got to hang out with the families behind the olive groves. Generation to generation they pass on their knowledge and the grove to their posterity. It was amazing and quite tender to listen to, so when you see those canned olives and think it’s all coming from some big factory, it’s not and they are still hand picking most olives. 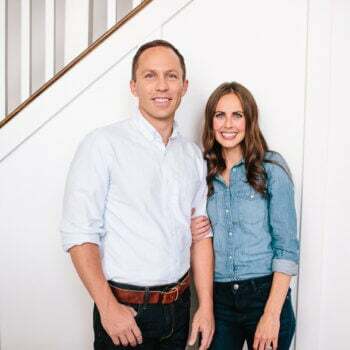 In fact, I was so inspired I talked to Cade and we are going to try to take our family back there so our children can learn where their food comes from and how hard families work so we can eat things like our Easy Greek Pasta Salad recipe. 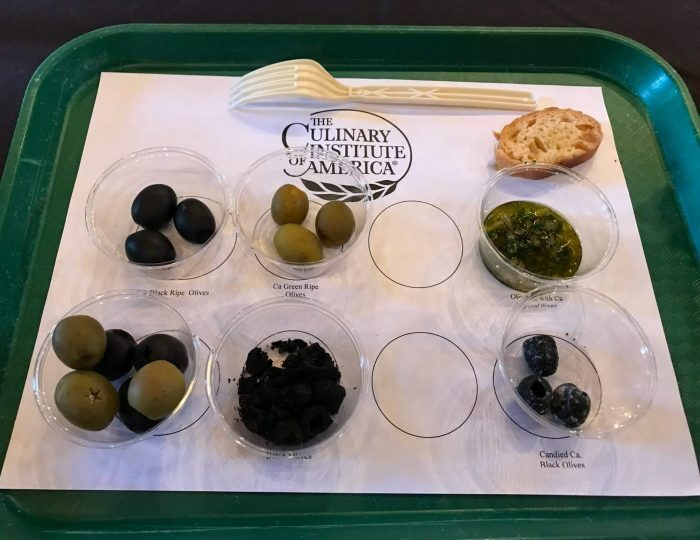 We tested regular, smoked, candied, dehydrated and of course green olives and it was amazing how well each one took on the flavor introduced to it or how buttery and good the regular were. 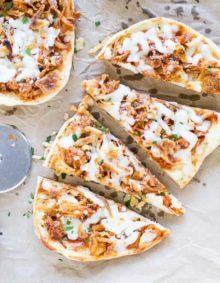 We really played around with the idea of doing something unusual with the olives for this recap post, but in the end Cade made a good point, our readers are living busy lives and they love fresh twists on old favorites so let’s give them a way to use olives in a new way that’s still familiar. I love that. 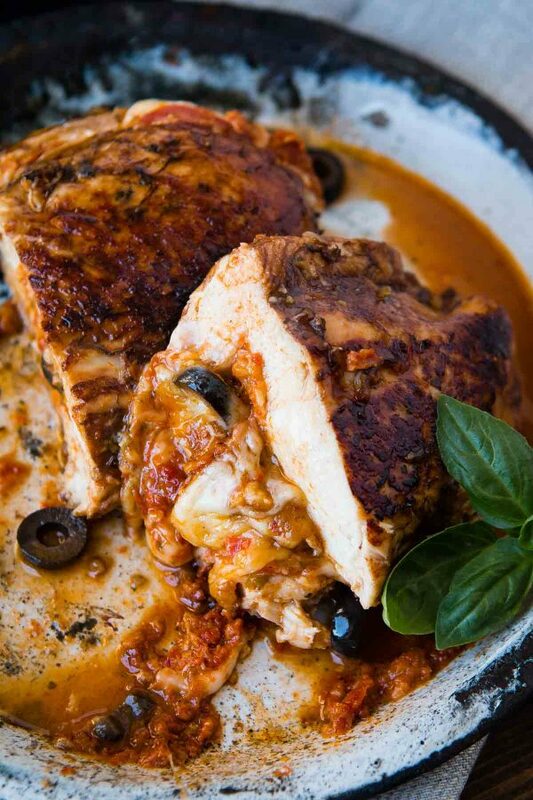 We almost pureed them in the pesto, which you could totally do, but we learned quickly that you lose the texture and a stuffed chicken dish really is so much better with texture and the olives provide not only that but a rich, earthiness in flavor as well. One simple ingredient, one big result. My favorite kind of cooking. 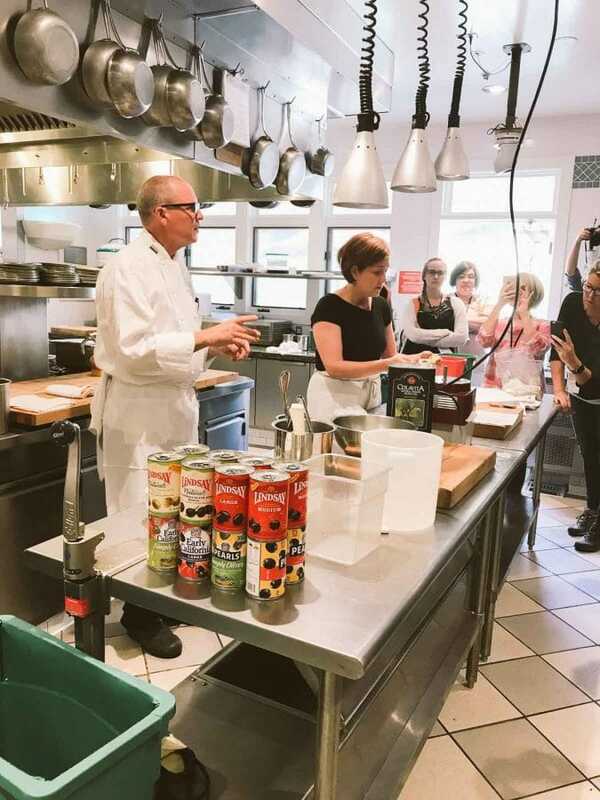 Can I just mention that I’m dying to hold a weekend getaway at the Culinary Institute. Wouldn’t that be amazing? Maybe even a giveaway where we all get to go and cook and learn together, especially with olives. Oh a girl can dream can’t she? I know, this isn’t a normal recipe post but really, it’s such a privilege to visit these brands and get to know who they are, what their purpose is and what they are doing for you and I in the world of food. So sweet of you. It was a lovely time and I’m so grateful I got to go!